The "Jingle Bell, Jingle BAM!" 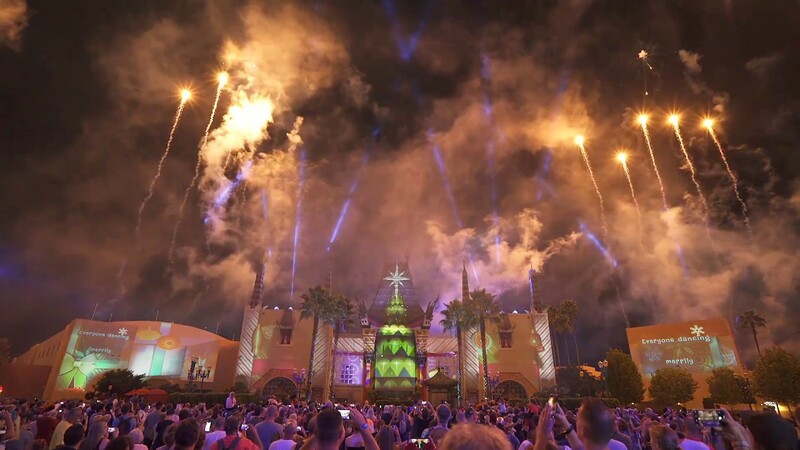 projection and firework show will headline Christmas at Disney's Hollywood Studios. Joined by "Sunset Seasons Greetings" and decorations throughout the park. 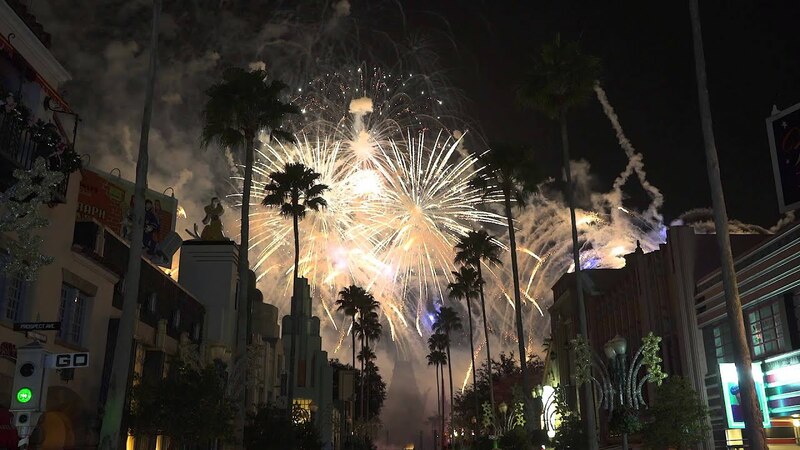 Plan your New Year's Eve at the Magic Kingdom, Epcot and Disney's Hollywood Studios. Toy Story Land is part of the park's holiday decorations for 2018. Preparation for Sunset Seasons Greetings is well underway at the Studios. We have been lucky enough to visit the lights and sights the past three years and this year will be our fourth. We love all the lights and music that go along with the Osborne lights. It is very festive and the kids young and old will love it. It is a must see while at Disney. The hollidays at WDW are never to be missed! By all means go to the Studios and see the wonderful Osborne Family Spectacle of Dancing Lights there they are not to be missed! November 9 to December 31 2017. New songs from Disney’s new animated short “Olaf’s Frozen Adventure” will be added to ‘For the First Time in Forever: A Frozen Sing-Along Celebration,’ with appearances from Olaf himself. The Osborne Family Spectacle of Dancing lights are sadly no more, but the park does have a seasonal show in its place. "Jingle Bell, Jingle BAM!" will debut November 14 and play nightly through to December 31 2016. You can also meet Santa Claus on Sunset Blvd, and from Christmas Day, Santa Goofy. 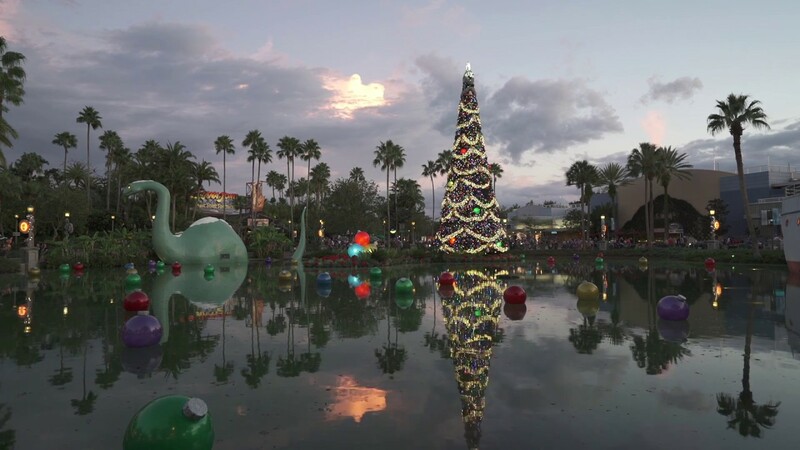 Holiday events at Disney's Hollywood Studios are to be held this year from November 6 2015 to January 3 2016. The Osborne Spectacle of Dancing Lights turn on at dusk (around 6pm) and operate through until park closing. Holiday events at Disney's Hollywood Studios are to be held this year from November 7 2014 to January 4 2015. The Osborne Spectacle of Dancing Lights turn on at dusk (around 6pm) and operate through until park closing. The Comedy Warehouse will perform from December 21 2014 to January 4 2015. Holiday events at Disney's Hollywood Studios are to be held this year from November 8 2013 to January 5 2014. The Osborne Spectacle of Dancing Lights turn on at dusk (around 6pm) and operate through until park closing. Holiday events at Disney's Hollywood Studios are to be held this year from November 9 2012 to January 6 2013. Holiday events at Disney's Hollywood Studios are to be held this year from November 10 2011 to January 7 2012. 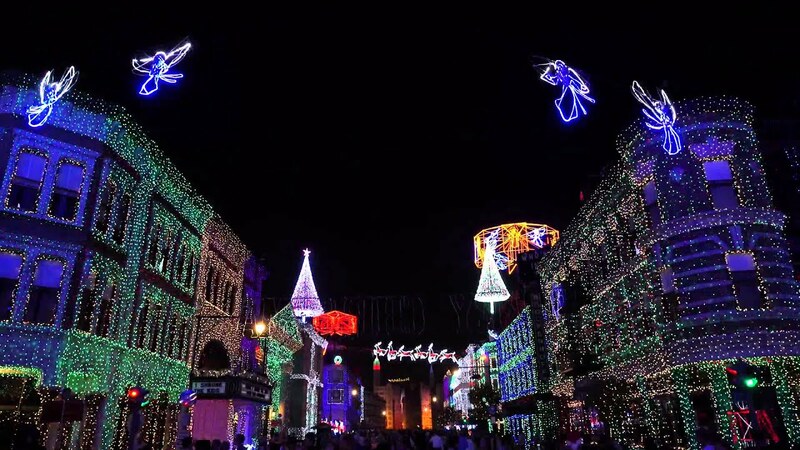 There will be no Osborne Lights on December 8 2011. Holiday events at Disney's Hollywood Studios are to be held this year from November 8 2010 to January 3 2011. Here is the entertainment lineup for New Year's Eve 2010 at Disney's Hollywood Studios. "Block Party Bash" parade at 3 p.m. "Fantasmic!" nighttime extravaganza at 6:30 p.m., 8 p.m. & 10 p.m.
Live performances by in-park band "Mulch, Sweat and Shears" at Mickey’s Sorcerer’s Hat at 8 p.m., 9 p.m., 10 p.m. and 11 p.m.
"Lights, Camera, Happy New Year" fireworks starring “Mulch, Sweat and Shears” at 11:55 p.m.
Park hours: 8 a.m.-12 a.m.
Holiday events at Disney's Hollywood Studios for 2009 run from November 30 2009 to January 3 2010.